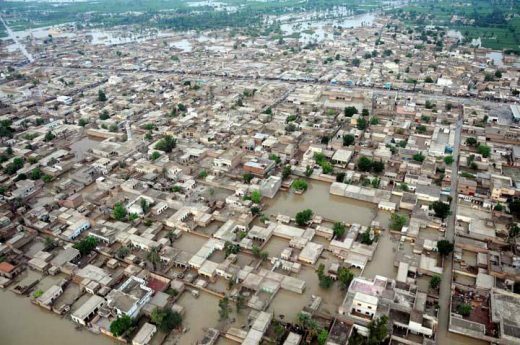 It has been almost two months since devastating monsoon flooding in Pakistan affected the lives of over 20 million people. Although huge amounts of money has been donated and heartbreaking images have made daily headlines, relief agencies have only received about two thirds of the $459.7m the UN calculated was required for the initial response to the worst natural disaster in recent history. For the affected people in Pakistan, the crisis is far from over. Their lives have been turned upside down and it is hard to see where to begin the task of rebuilding all that was destroyed. The fact that the 2005 Kashmir earthquake meant NGOs were on the ground and already in a position to respond quickly to the floods is the thinnest of silver linings; it is now Pakistanis who face the daunting task of rebuilding their lives. It is important to recognise how historical and cultural factors can influence the impact of a natural disaster. Pakistan was a struggling country before the floods came and its chequered history is characterised by periods of military rule, political instability and conflicts with neighbouring India. Conflicts between Pakistani armed forces and Islamic militant group, the Taliban have been ravaging the north-west province of Pakistan for years. The oppressive and murderous rule of the Taliban forced 64% of the population in the Upper Swat region to join the thousands of already displaced persons. By March this year, nearly 90% of those had returned to Upper Swat, badly need of assistance to rebuild their lives. Then the rains came. But in this stage of short-term relief, when the provision of food, medicine and safe water is such a key concern, where does the built environment professional fit in? As Article 25’s experience in both Haiti and Pakistan has shown, the need for joined-up thinking between immediate relief and long-term recovery is critical to ensuring the success of the reconstruction effort. 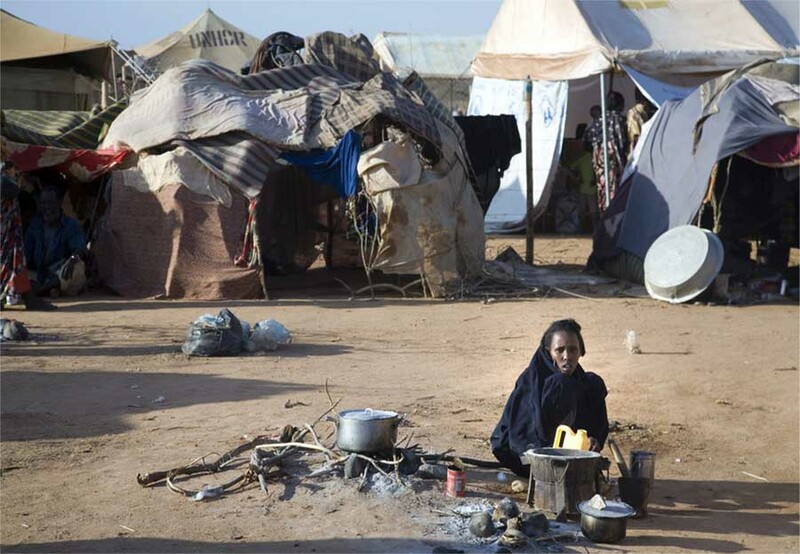 For example, relief tents can rapidly bring about informal settlements which must be carefully managed to prevent permanent pseudo-slums developing. Infrastructure design is perhaps where the support of construction skills will be apparent next: roads and transport infrastructure; energy infrastructure; material storage facilities to cope with the huge demand for stockpiling of food, medicines and building materials. The built environment has a key role to play, first of all in managing short-term shelter and then, once the flood waters eventually subside, in the clearing and rebuilding of a massive swathe of the country. By keeping half an eye on the reconstruction of the built environment, the chances of Pakistan’s longer-term recovery may be greatly increased. Long-term flood abatement mechanisms range from small-scale cost-effective construction methods that are easily replicable by local communities to larger-scale flood resistant structures. An example of small-scale flood resistant design is the use of Jute panels; bamboo poles on concrete bases that are strengthened with metal tie rods to hold the walls of a house safe and firm. This method is very effective in increasing the structural integrity of a house, is cheap, and is easily replicable. Another similar method is the use of bracings and fastenings, which use nuts and bolts, screws, ties and nails to bind the walls firmly to the house frame, making the building highly resistant against strong wind and rain. On a more medium-scale level, plinths made from a mix of stone, brick and a small amount of cement can be used to raise a house above flood level. If these plinths are built strong and high enough to last through repeated floods, this increases greatly the local capacity to minimise flood damage in the future. On a large-scale level, the most effective flood abatement mechanisms come in the form of dykes which can channel water away from vulnerable communities. Another method is the establishment of early warning systems, which are invaluable in disaster risk reduction and, contrary to popular belief, need not cost the earth. The construction of watchtowers gives, at least, more advanced warning for vulnerable communities to evacuate to higher ground, save belongings and protect livestock. It is interesting to examine how the response of the built environment professional is becoming invaluable in a stream-lined, cohesive response to a natural disaster. Excluding Pakistan, the UN is currently overseeing appeals for 17 distinct humanitarian crises. As scientists predict that the frequency and ferocity of natural hazards will continue to rise, the importance of establishing comprehensive disaster risk reduction methods and long-term coping strategies has never been more apparent. The need for increased cohesiveness and efficiency between NGOs is also imperative, which has led to establishment of the ‘Global Cluster Approach’. Within the relief phase, the Shelter Cluster ensures that those whose homes have been seriously damaged or destroyed in the floods have access to emergency shelter and supplies that provide protection from the rain and sun. The Global Cluster Approach was proposed as a way of combating duplication and strengthening the efficiency of humanitarian response by establishing partnerships. The cluster approach ensures predictability and accountability in international responses to humanitarian emergencies, by clarifying the division of duty between organisations, and better defining their roles and responsibilities within different sectors of the response. It is extremely important that part of the cluster system factors in the assessment of the long-term reconstruction needs of the affected country, and establishing for the future disaster risk reduction methods and local capacity. As evacuation continues and monsoon rains look set to continue into September, relief efforts must be focused on ensuring people’s health and lives are not further endangered by the floods. This time in the response is crucial, as most deaths are caused not by drowning, but by disease spread by the shallow stagnant water – efficient built mechanisms to control flood waters greatly reduce this risk. In addition, the unprecedented number of people left without homes, schools and work places by the floods has brought into sharp focus the need for the built environment to respond in a responsible and coordinated way. September 28, 2010 in Pakistan.